Our business advisory service is the perfect solution for the occasional need for outside council. If you do not have a board of directors or an experienced management team to discuss critical matters with, take advantage of our pay-as-you-go advisory service. Our business decision making experience is extensive covering such critical areas as strategy planning, organizational set ups, new product launches, marketing strategies, strategic acquisitions, workplace cultural development and management practices to name a few. Ultimately, until you are confident about the decisions you need to make, you're not likely to take action on anything! Lack of action is one of the most corrosive elements for poor growth and anaemic profitability. Schedule time today to address your most pressing issues. Our involvement can make all the difference! Call 949-951-9163 today! You pay for an initial 30 minute block of time- $175.00. Each subsequent 15 minute segment costs $75.00. Before your session begins, a form of payment will be obtained. Once your time slot is confirmed, you will be provided with a phone number or video conference link (your choice) to begin the call. After each call, any recommendations provided during the call will be emailed to you. Advisory calls are not recorded and requests to do so will not be given. Any matters related to legal or financial situations should be covered with professionals who are licensed to practice these disciplines. 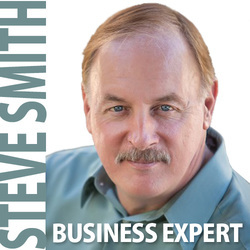 If you only require a response to a tough question, try our on-line 'Ask Steve' service. There's no charge. I want to take a moment to write you to express my appreciation for your assistance related to the growth of my businesses, especially the law firm. Now that we have been working together for an extended period of time I am happy to report that many of the changes that we have implemented are beginning to pay off. You have advised my executive team and me on a variety of matters ranging from marketing to business structure issues. While some of those changes have been difficult, and in some cases costly to implement they have been absolutely worth it. I feel the fundamental changes we have made in our businesses throughout 2010 and 2011 have enabled us to weather a down economy and position ourselves for our best year ever in 2012. Your advice and counsel have proved to be an essential element of our success. I am very grateful for your efforts and insights that you have provided by executive team and me. I am very excited about working with you further in the future.